This palace museum is another popular place to travel in Gujarat. It was established to display sculptures and artifacts dating back to the periods ranging from 9-18th century A.D. It is the major place of attraction where tourists will see rich collection of artwork and pottery exhibitions. They will also have the chance of admiring the architectural styles of this majestic palace museum building. 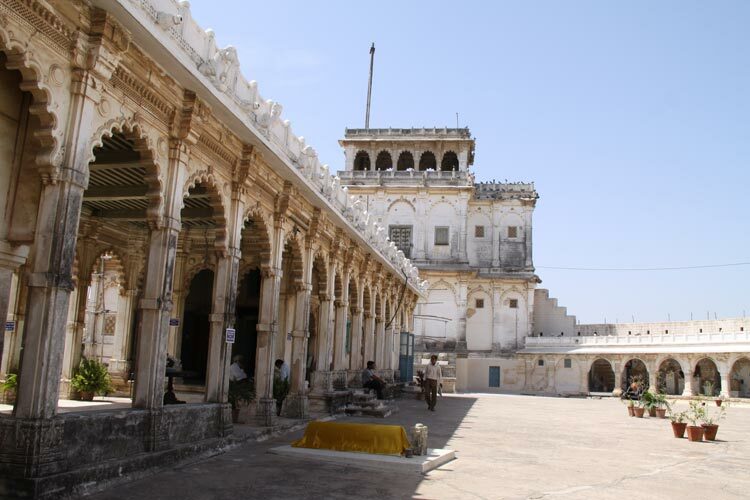 This palace bears the ultimate mark of the royal lifestyles and sophisticated tastes of the erstwhile Jamnagar rulers. It is for this reason that the museum is still able to draw the curiosity of the people all over the world. This remarkable royal museum comprises of galleries that mainly showcase musket, swords, powder flasks and other armory collections used by the erstwhile rulers of the region to settle scores with the enemies and also among themselves. The center piece of attraction in this museum is a huge skeleton figure that of the whale. Every nook and corner of this age old museum serves as the mirror to the glorious period of Jamnagar. Apart from this museum, Jamnagar also offers other popular tourist spots for the visitors. The notable among them is Darbargadh which used to be the actual residential place of jam Sahib. Remaining spots include Bardar Sanctuary, Ayurvedic University, Solarium, Kotha Bastion and many more to make the trip a memorable one. This was initially built to be used as a fort for sheltering soldiers and ordinary people from the enemy attack. It was constructed under the instruction and supervision of Jam Ranmaliji also for the purpose of supplying water and food to the people experiencing severe drought /famine during the successive periods of 1834, 1839 and 1846. After entering inside the museum visitors will have the scope of obtaining useful information about this palace complex. The walls of this museum are mainly ornamented with the mural paintings depicting age old battles fought by royal members of Jadeja clan. This palace is based on the center of Lakhota Lake resembling like that of an island. 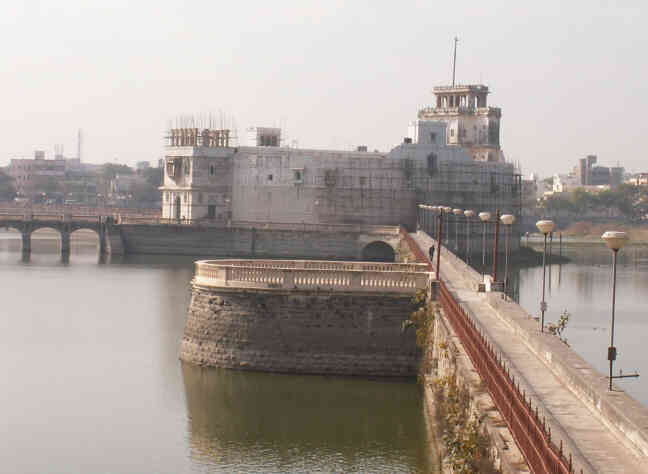 It will usually take 12 km by road from Jamnagar to reach the lake for availing ferry service to reach the museum. From Rajkot the distance is 80 km and from Junagadh it is nearly about 137 km. The museum is open every day from 10:30 am to 5:30 pm.